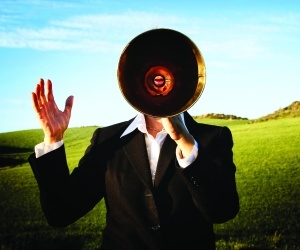 The sound of a leader: is your voice holding you back? Something doesn’t sound right… could the pitch of your voice be having an impact on your career? HRM investigates. HR managers are well aware of the impact outward appearance can have on perceived professionalism – but what about the way people sound? Research suggests the tone of our voice may be more important than previously thought. McMaster University researchers manipulated recordings to create higher and lower pitch variations of one voice – they then asked test subjects to rate the perceived attractiveness, leadership potential, honesty, intelligence and dominance of the speaker. Across every different speaker used – both male and female – the test subjects preferred the lower pitched voices. Furthermore, a research time from Duke University and the University of California studied the voices of almost 800 male CEOs and founder that those with deeper voices managed larger companies and made more money. Statistically, the team concluded that a decrease of 25% in voice pitch is associated with an increase of $187,000 in annual salary. Lifestyle coach Jessica Procini said she’s encountered so called “voice discrimination” first hand. “People would make comments like ‘You should do voiceovers for kids movies’ or ‘How old are you’ or ‘How long have you been in the business?’” reveals Procini. The 28 year old, whose voice is naturally a higher pitch than most women’s, says she faced scrutiny from professional peers who questioned her work and credibility. Two years ago, she signed up for vocal training in a bid to sound more authoritative and finally silence the doubts – it’s a trend that speech therapists and business psychologists say is on the rise. The treatment however, doesn’t come cheap. Voice training typically costs about $100 per hour but can be considerably higher in big city centres such as Sydney, New York or London.